I don’t require many reasons to go for a ride on a train. However, I think that these are some very good reasons to hop onto the Rocky Mountaineer, sit back and enjoy some of the finest scenic views, while being treated royally by the staff. 1- This privately owned luxury train has thrilled over two million guests since 1990. 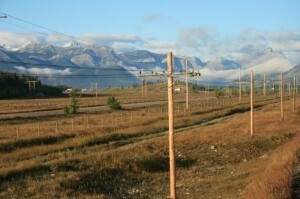 Travellers pass the Western Canada Rocky mountains which contain some of the most spectacular scenery in the world. elevation, while at the same time avoiding a steep grade. Because of the history of the CPR effort to build the first track, I found this a great chance to be right where the action had taken place. From there on it’s just mile after mile of great mountain views, dashing rivers, and avalanche sheds. hard this would have been when you view the amount of blasting required to create the railway. In fact about 100 years after Simon Fraser’s passage, a railway company blasted the side of the canyon into the water virtually blocking it to the passage of the Pacific Salmon. It took the building of fish ladders to allow the salmon to bypass the worst of the rubble, yet generations of salmon were doomed to never be born. Quesnel. Then it circles in a big loop around forested mountains before heading to Jasper, in Jasper National Park, passing by Mount Robson. 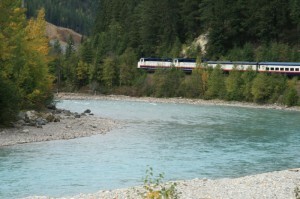 5- Rocky Mountaineer provides packages of tours, some taking several days so you can travel slowly, and see places like Banff, at your leisure. 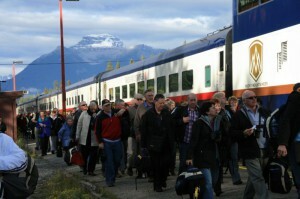 6- You can combine a rail tour with a fantastic luxury cruise to Alaska. If you are looking for an escape from the office, you can book into one of their more extensive trips, approximately two weeks, that will take you from the heart of the Canadian Rockies, to Seattle by rail, and north to Alaska by ship. puts you on top of the world in the Dome car, with unsurpassed views of the passing scenery. Later, you will slip down the stairs to the lower level, where you will sit down to beautifully prepared meals and dine in luxury! 8- The company can help you with arrangements for rental cars, extra hotel nights, and flight arrangements from your home town. and Arizona, is more like a six or seven day drive. So why select Arizona? nd snowy in the north, up by Flagstaff and the Grand Canyon. 2- Nights in Arizona are cool for nice sleeping conditions. After late February the heat increases. 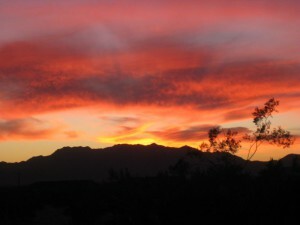 3- Arizona’s scenery is great. In the southern desert areas, rugged mountains rise from a flat desert floor. To the north, above the Mogollon Plateau lies the Grand Canyon. 5- If staying in a trailer park is important to you, you’ll find lower prices for trailer parks in small places like Wellton, at around $300/month. Big cities area will be closer in price to the higher rates found in the east. 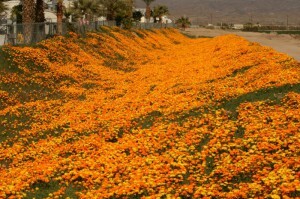 If you like trailer park communities, you will find lots of these near Yuma, and Phoenix. 6- The state has several historical sites to visit. 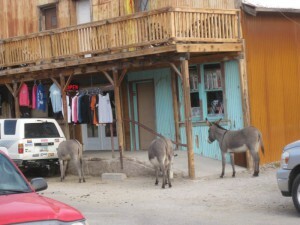 After all, this is the home of the old violent west, home to Tombstone, the Yuma Jail, and Tucson. 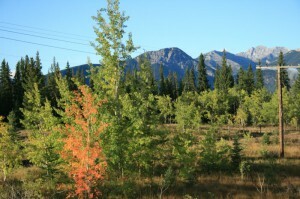 7- Old mine sites are plentiful and are frequently found at the end of a long four-wheel drive trail. At Ajo, you can visit a huge open pit copper mine, now derelict, and see the massive rock and tailings piles that spread out for a mile or so. 9- When boondocking, you have great access to uncluttered skies. This is a terrific time for stargazing. 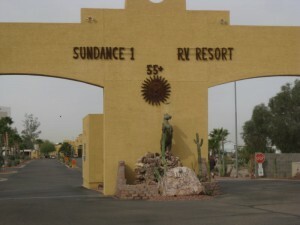 10- Quartzsite has a huge RV show in a massive tent around the end of January. 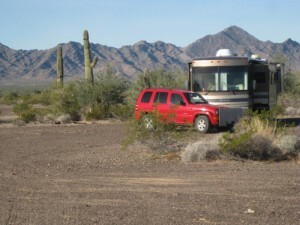 Thousands of RVers camp on the surrounding BLM land. 11- Kartchener Caverns is one of the newer caves discovered and is now open for your visits.